He had a dream. And it included equitable transit. When you go beyond a relatively simple though serious problem such as police racism, however, you begin to get all the complexities of the modern American economy. Urban transit systems in most American cities, for example, have become a genuine civil rights issue — and a valid one — because the layout of rapid-transit systems determines the accessibility of jobs to the black community. If transportation systems in American cities could be laid out so as to provide an opportunity for poor people to get meaningful employment, then they could begin to move into the mainstream of American life. A good example of this problem is my home city of Atlanta, where the rapid-transit system has been laid out for the convenience of the white upper-middle-class suburbanites who commute to their jobs downtown. The system has virtually no consideration for connecting the poor people with their jobs. There is only one possible explanation for this situation, and that is the racist blindness of city planners. It’s not a problem that ended up in the dustbin of history, but lingers today, in Milwaukee (as Angie Schmitt reported), Los Angeles (as Sahra Sulaiman’s ongoing coverage shows) and, frankly, all over the country, where street safety improvements are installed more frequently in wealthier neighborhoods. So let’s keep fighting for change. The Post explored the pain and trauma of the Manhattan car owner. Really, are we supposed to be sympathetic to people who want to put their private property in the public right of way just because Whoopi Goldberg made some dumb comments about bike lanes last week? The Wall Street Journal published an op-ed attacking Vision Zero and life-saving “road diets” that was so biased and inaccurate that Mayor de Blasio spokesman Eric Phillips and Transportation Alternatives co-director Marco Conner (and others) attacked it on Twitter. And the great Carlton Reid debunked the “bike lanes cause congestion” argument in Forbes. The Staten Island Advance made the case for speed cameras (is there a legitimate case against them?). Former DOT Commissioner Janette Sadik-Khan slammed Whoopi Goldberg on Twitter for the talk show host’s error-filled critique of protected bike lanes last week. We loved this Times story about the dream of digging a subway to Staten Island. It’s a crazy idea that’s long overdue. Some very good local reporting in the Times on the city’s plans to rebuild East River Park into a flood-prevention berm glossed over a major issue for the Streetsblog crowd: The city abruptly changed the original plan so that it would not have to close the FDR Drive during the daytime. 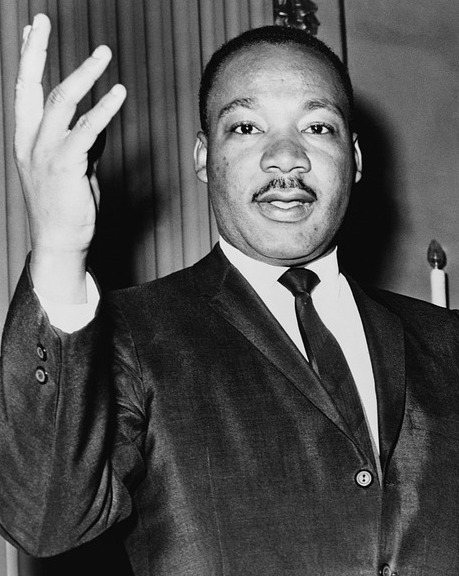 Dr. King died more than 50 years ago. The share of jobs that were accessible within a reasonable commute without a private automobile was far greater at the time than it is now, a trend that has only just started to reverse in the past decade or so. I assume there will be no accommodation for cyclists and other through greenway traffic during the 3+ years East River Park is closed. At least it looks like the project will include the bridge over the ConEd narrows. But a lot of this park (not just the track) has been rebuilt in the last decade and is in pretty good shape, so there’s not much other benefit for greenway and park users in this plan. Worth adding: concern about the water is valid, but its condition consistently improves. Would I eat critters from NYC’s waterways? Ummm, no, and I don’t know if we’ll ever get back to what Mark Kurlansky delightfully describes in The Big Oyster (a book which I highly recommend), but the trend is encouraging.